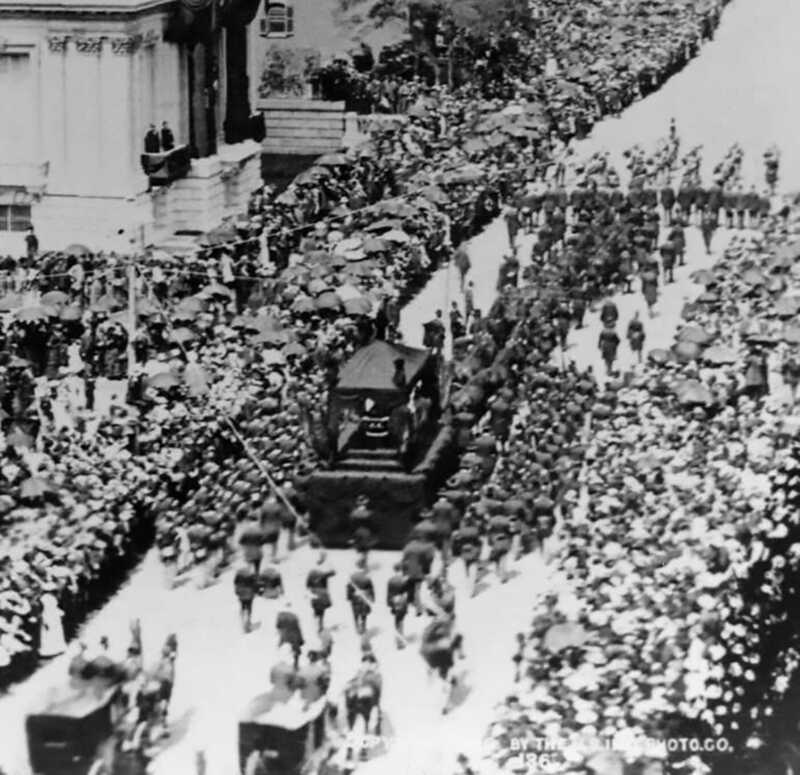 Thousands of mourners accompanied Grant's tomb through New York City. New York Historical Society. As Ulysses S. Grant's funeral procession made its way through New York City on August 8, 1885, it seemed everyone in the city was watching. Crowds packed every square inch of available viewing space on the ground, and buildings were draped in black in Grant's honor. 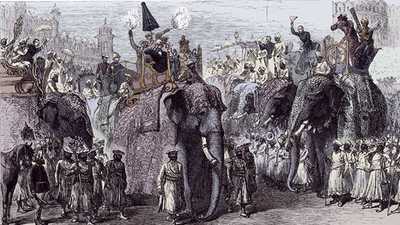 The column of mourners who accompanied Grant was seven miles long. Among those mourners were three United States presidents. If old enemies from the Civil War carried grudges, they set them aside. Grant's pallbearers were Generals William Tecumseh Sherman and Philip Sheridan, who had fought for the Union, and Simon Bolivar Buckner and Joseph Johnston, who had fought for the Confederacy. Union and Confederate officers in the procession rode together in the same carriages. Placed in a "temporary" tomb in Riverside Park, Grant's body stayed there for nearly 12 years, while supporters raised money for the construction of a permanent resting place. In what was then the biggest public fundraising campaign in history, some 90,000 people from around the world donated over $600,000 to build Grant's Tomb. Designed by architect John Duncan, the tomb overlooks the Hudson River in New York's Morningside Heights. The monument is partly modeled on one of the seven wonders of the ancient world, the tomb built at Halikarnassos (modern-day Bodrum in Turkey) for King Mausolus by his grieving wife, Artemisia. Mausolus' tomb was so spectacular it a coined a Latin word, "mausoleum," that defined a large, stately burial structure. Grant's granite and marble monument includes mosaics depicting Grant's victories at Vicksburg and Chattanooga and General Robert E. Lee's surrender to Grant at Appomattox. A million people, including President William McKinley, attended the tomb's dedication on April 27, 1897, 10 days after Grant's body had been moved there. Grant's Tomb was — and is —the largest tomb in North America. 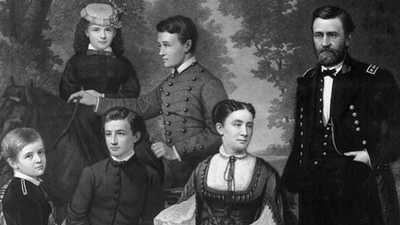 After her death in 1902, Grant's wife Julia was laid to rest alongside her husband. Sadly, as the 20th century wore on, Grant's Tomb deteriorated. After Grant's descendents threatened to move his body elsewhere, the National Park Service spent $1.8 million to restore the tomb. The restoration was completed and the tomb rededicated in 1997. Today, about 100,000 people visit Grant's Tomb each year. When war broke out in 1861, kids across the North and the South said goodbye to their fathers, brothers, uncles, and cousins — or joined the military themselves. 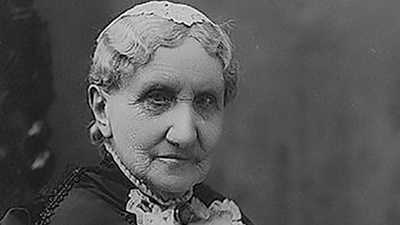 Her work on the Sanitary Commission helped convince her that in order for social reforms to take place, women needed the right to vote.